The pyramid shape stands as a monument of enduring architectural engineering. Making a paper three-dimensional pyramid involves gaining greater understanding of geometry and the architecture of Egypt's ancient pyramids. To make a 3-D paper model of a pyramid, all you need are paper and basic school supplies. 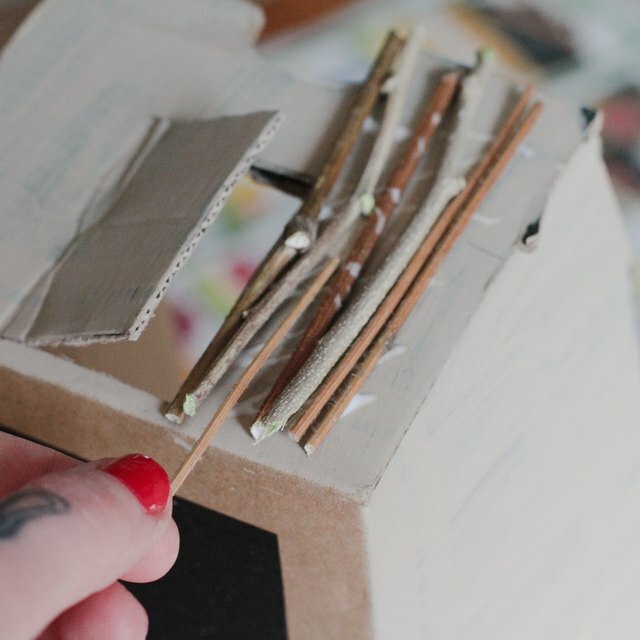 Depending on the project, this completed project could add to a diorama or serve as a geometry model. Card stock or poster board work well for making a classroom model of a 3-D pyramid. Measure the width of the paper. 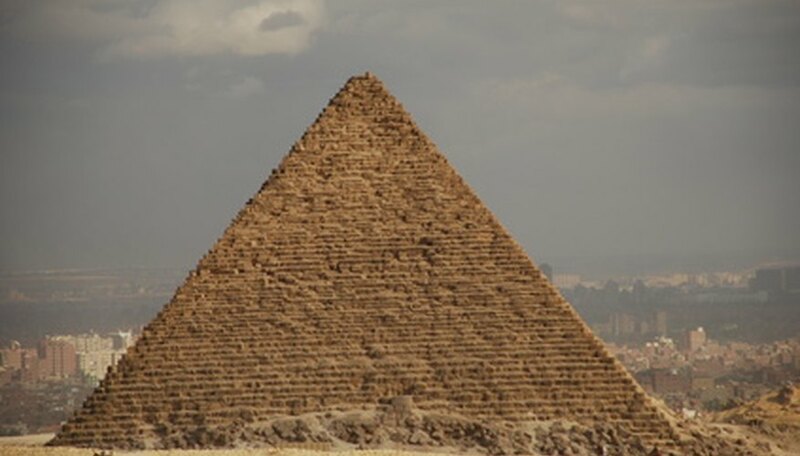 The triangles for the faces of a square-based pyramid like the Great Pyramid at Giza have three equal sides. Each side of the triangle is the same length and the same angle. Draw two lines extending from the bottom corners of the paper to create a triangle with the bottom edge of the paper as its base. If the paper is 8 1/2 inches wide, make the other two sides of the triangle each 8 1/2 inches long. Cut out the triangle. Trace this triangle to make three more triangles for the other three faces of the paper pyramid. You can also use the ruler and pencil to draw the triangles the same way you drew the first one for practice. Make a square with sides the same length as the sides of the triangle. In this example, the sides will all be 8 1/2 inches long. The math works the same for a 12-inch pyramid or a 24-inch pyramid or Khufu's Great Pyramid in Egypt. With the ruler on the long edge of the paper, make a mark at the measurement the same as the triangles sides. Mark the same length on the opposite side of the paper. Line up the ruler with the two marks and draw a line connecting them. Cut along the line to complete the square. This forms the paper pyramid's base. Line up the triangles with one edge of each triangle meeting one edge of the square. It will look like a square with four points sticking out of it. Tape the triangles to the squares at the seams. Stand up two of the triangles and have an assistant hold them. Tape them together along the edges where the edges meet. Apply the tape on the inside of the pyramid from the bottom to the top. It's ok if you'd rather tape the triangles together on the outside. Raise another triangle and tape it to the standing triangle it's closest to. Raise the last triangle. Tape it to the one next to it along the edges from the bottom to the top along the outside. Fill the paper 3D pyramid with wads of recycled paper before taping the last triangle to give the model some weight. Adams, Gryphon. "How to Make a 3D Pyramid With Paper." Sciencing, https://sciencing.com/make-3d-pyramid-paper-6677595.html. 24 April 2017.